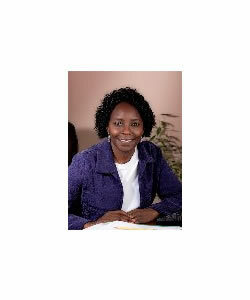 Pauline Muchina comes from the Rift Valley Province in Kenya, where her family still resides. She is the founder of the Future African leaders Project and a fellow with Center for Health and Social Policy. Previously, she served as the senior partnership advisor for UNAIDS for seven and a half years. Pauline serves in several boards and advisory groups including, Foundation for Sustainable Development and the Circle of Concerned African Women Theologians. Additionally, Pauline supports African Women & Youth, a handmade creative design company that crafts authentic hand-made African products for the global market. In 2011, Pauline received the United Methodist Church Global Leadership Award. On March 8, 2014, the Huffington Post honored Pauline as one of 50 women powerful international religious leaders. She holds a master’s degree from Yale University Divinity School and a Ph.D. from the Union Theological Seminary.